Bob-Lyn Stables is a family farm that has operated since 1960. Over the years, multiple disciplines have been practiced and many riders and horses trained, originally by accomplished horse people Bob and Marilyn Shea (hence Bob-Lyn), and currently by son Robert (Bobby) Shea. 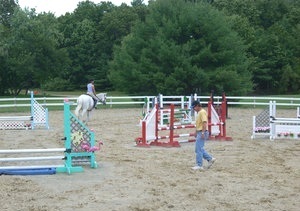 Today, hunters and jumpers are the primary focus together with beginner through advanced riders, children and adults. The farm encompasses approximately 20 acres on the Amesbury/Salisbury, MA line, conveniently located off rt. I-95, exit 60, near the northern juncture of rt. I-495. Monthly boarding, horse and rider training, lessons (ship-ins welcome), showing, horse sales/leases. 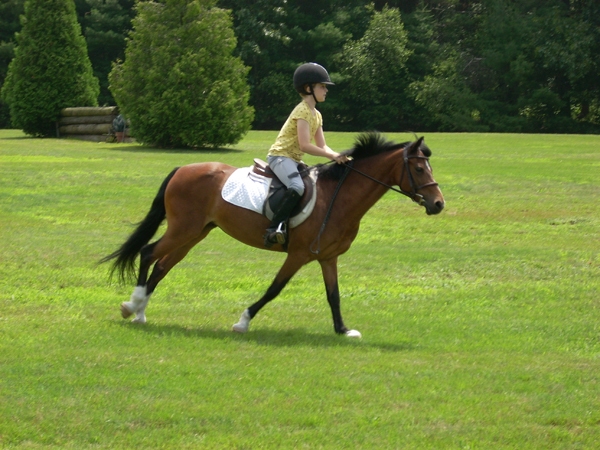 Our facilities are also available to lease on a limited basis for horse shows and clinics. Please contact us for more information and current rates for all services. Bob-Lyn Stables is on the Amesbury/Salisbury, MA line, conveniently located off rt. I-95, exit 60. Please contact us with questions or to schedule a visit. 91 Monroe St., Amesbury, MA 01913. I-95 S to exit 60, rt. 286/Salisbury. Bear right off exit past Rest Area, continue on ramp to right turn before traffic light, Mobil station on right. Follow same directions above from here.